As Chi Alpha missionaries we don't create our own unique mission to go and do, but rather, passionately do the mission Jesus gave us to do. Go make disciples! (Mt. 28) Making authentic disciples of Jesus, is more than teaching, but embraces "doing life together," and results in reproducing "disciple-makers" able to carry on with the mission wherever they go. Discipleship is best accomplished in small groups and must be intentional. The small groups must not be limited to simply a bible study, but embrace the bigger picture of "being the gospel" and engaging the outsiders, establishing new believers, equipping disciples for life, and empowering them to go and do the same... to lead and reproduce this in others. We teach our missionaries to build a missional community of students and to keep it simple by using a "simple system" - The "Core Group Strategy." 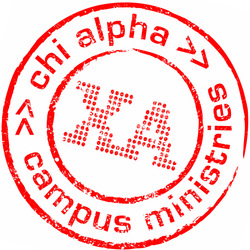 Below is a button link to a wealth of resources provided by our sister Chi Alpha at UVA, to assist in this model of ministry.